One of the regular fixes we make is a golfer’s eyeline over the golf ball at address. Too often, it’s inside or outside the line. With a traditional sight line that confuses the eyes and brain. 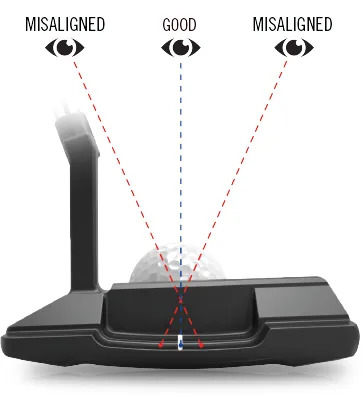 They become unsure of the sweet spot and that means poor off center contact, often with a face that is not square. golfer and the Tour Professional. By raising the alignment line to square with the center of the ball in the TFi 2135 series, Cleveland have solved that problem. 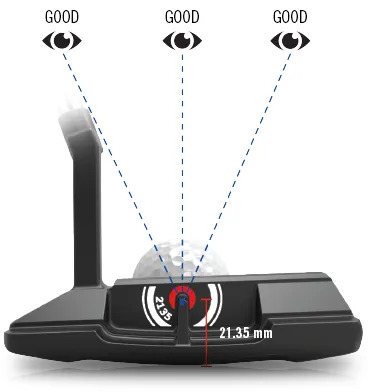 If you want to experience the difference this will make to your ability to hit consistent and accurate Putts, come and see us now.